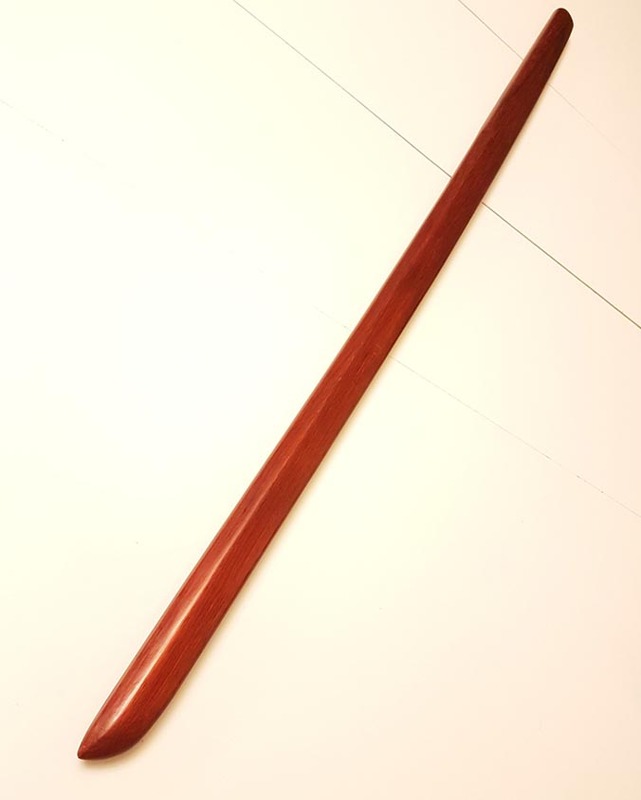 To some sword collectors, a Bokken may seem like no big deal. 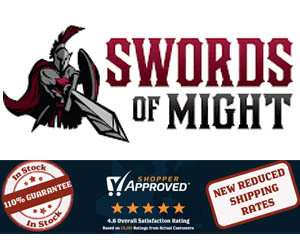 It’s a toy sword, a stick. 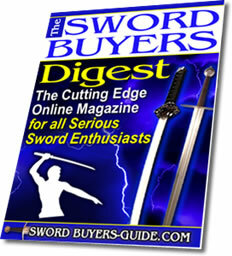 Not really all that necessary or interesting for a true sword collector – however, nothing could be further from the truth. 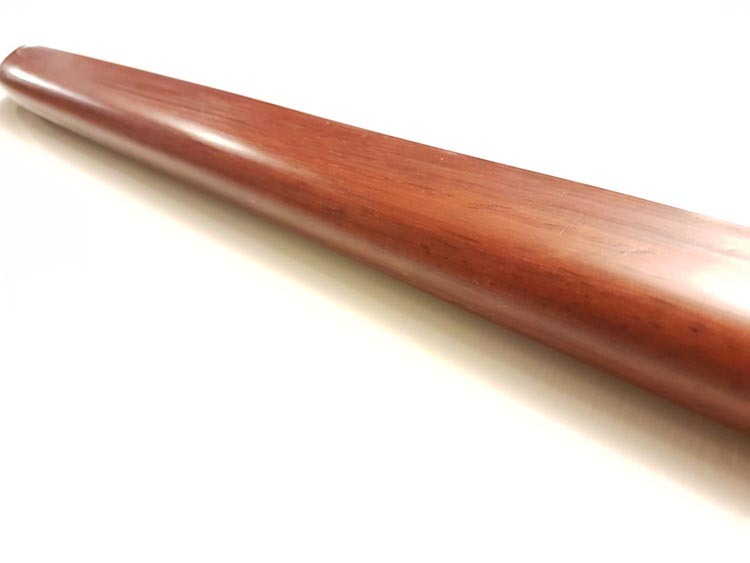 Traditional Japanese Bokken are expertly crafted, supremely functional training tools. 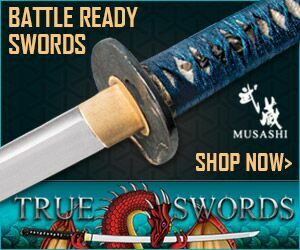 Designed for the purpose of training samurai in the art of the Japanese sword without the dangers of live steel, these practice swords (for that is what they are) were nonetheless lethal weapons in trained hands. In fact, according to accounts of the life of Miyamoto Musashi, the master swordsman was able to defeat multiple opponents using genuine katana with only his bokken – killing several in the process (including the eminent Sasaki Kojirō). 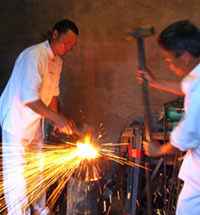 Wielding them, and constructing them, required time and consummate skill. I was, of course, completely wrong. A little over a year ago I was at the Central Canada Comic-Con (C4) when I saw a booth set up with a display of Bokkens in front. Curious, I went over to have a chat with the guys at the booth – and found out that there was a lot more to Bokkens that I had previously believed. 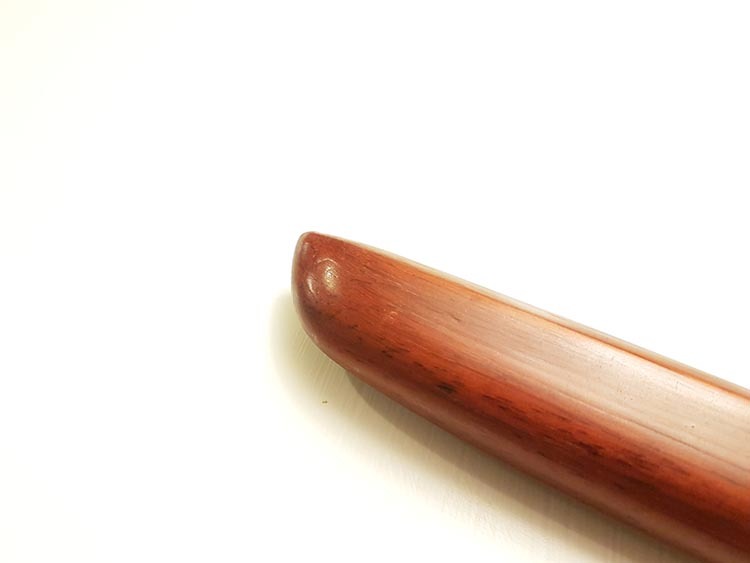 The gentlemen I met were part of a new startup called Samureye Bokkens, a small shop specializing in exotic hardwood Bokken. 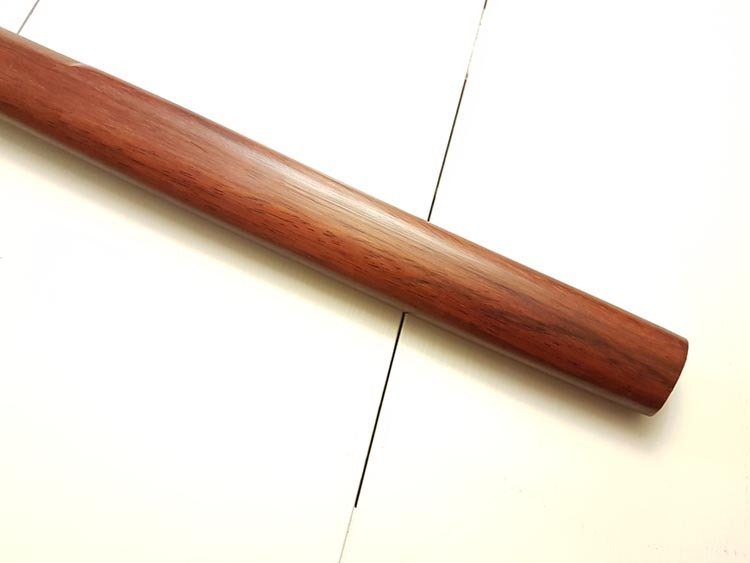 They had a number of extremely attractive Bokken on display, and my eyes were drawn to the smooth grains and expert shaping (a lifetime ago, I was a custom woodworker). The workmanship was better than anything I’d seen before in a training sword, certainly much better than I could make myself. 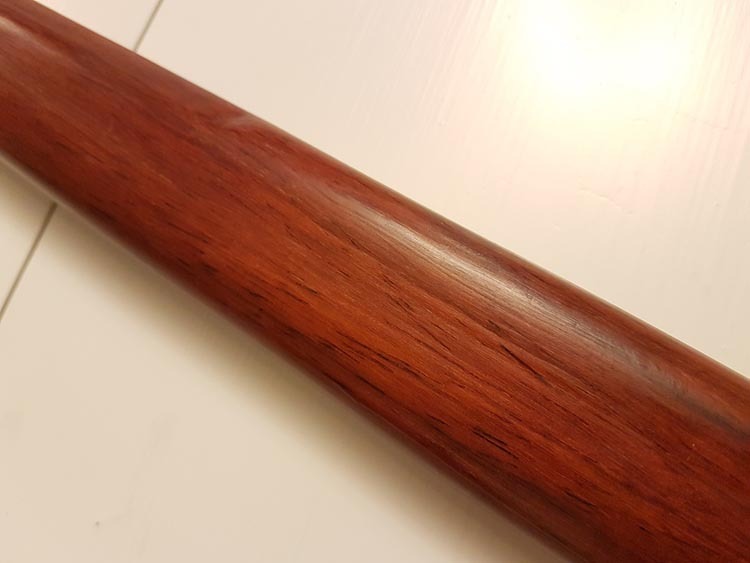 They also graciously provided us with a Bokken to review – so please read on to see it for yourselves! 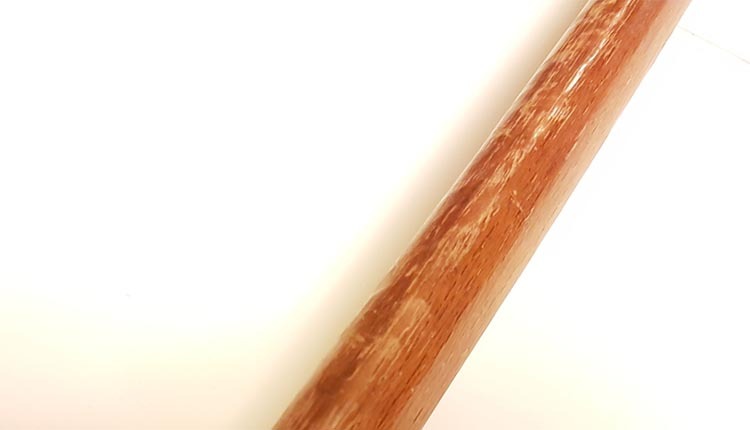 Thickness at Handle - 7/8"
There were a few other aspects of the Bokken that I will comment on here, and I took some pictures – though it is difficult to really capture the richness of the exotic woods in digital photography. 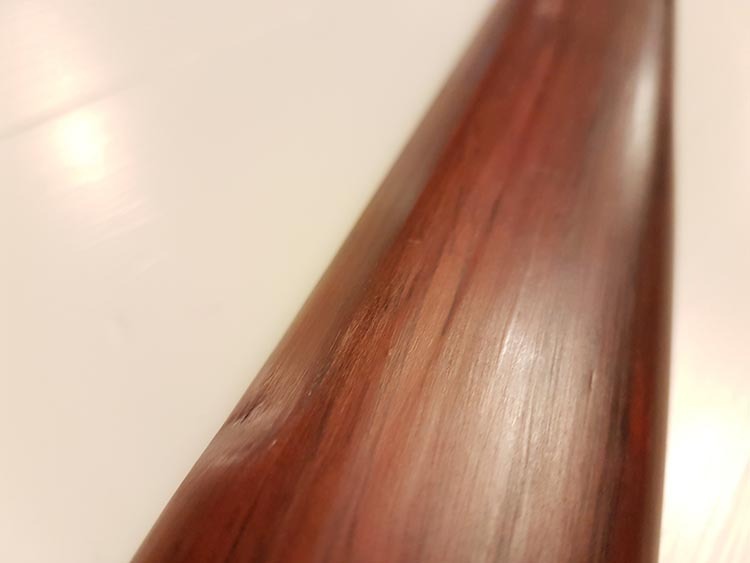 Paduak is (I’ve learned) a wood renowned for its unique colouration, though also for its stability and resilience. 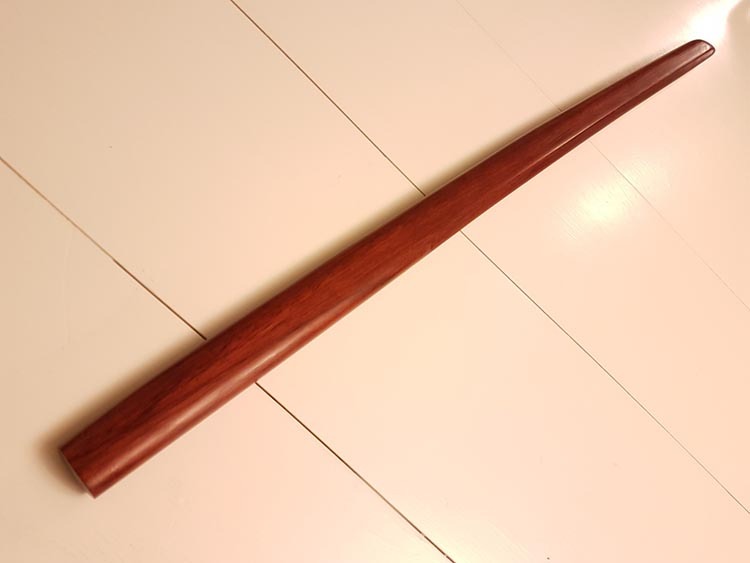 A good choice for a Bokken! The handle was sculpted well and fit my hands adequately. 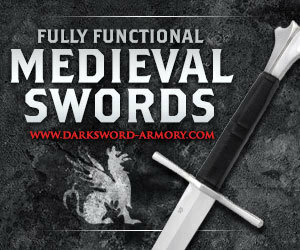 It was comfortable to hold and to swing, and while impact was transferred into my hands it was not an unreasonable amount – wood is a decent shock absorber, which is why it makes such great handles for swords. 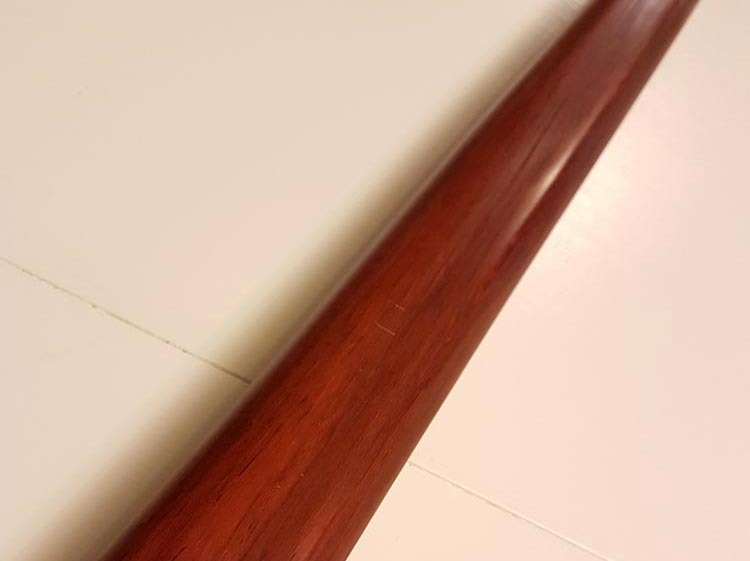 The “blade” of the Bokken is not perfect – that is, the lines are not exactly straight and there are minor imperfections in the details. This is to be expected – after all, each of the Bokken are carved with hand tools – no easy feat considering the different tapering involved. 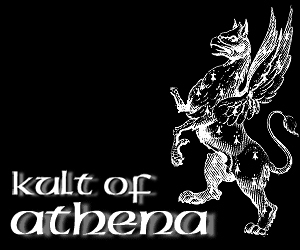 And to be completely honest, you have to examine the Bokken so closely to find the imperfections that for all intents and purposes they may as well not be there. 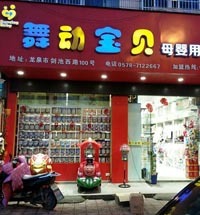 Here is where the shortcomings of doing these reviews over the internet come in. 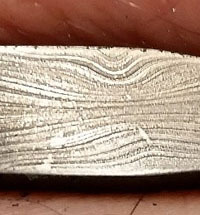 It’s incredibly difficult to capture the depth of the grain structure and have it accurately translate to the screen. It’s like trying to take a picture of a mountain range – inevitably, you wind up with a two-dimensional image that appears flat, shallow, or unsubstantial. In person, though, you get the opportunity to view the wood from different angles and appreciate how complex it is, how it can have so much character while still being so smooth. In short – you need to see it for yourself to truly appreciate it! 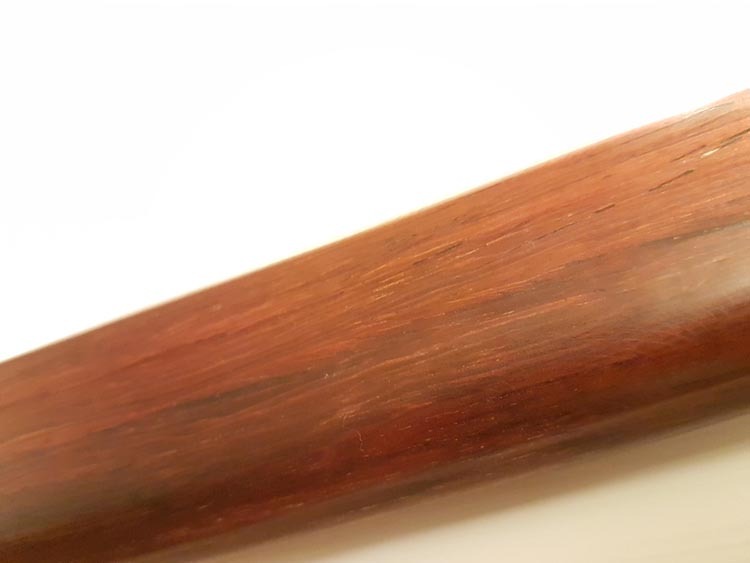 I gave it a few whacks against the cheap Bokken I bought years ago and the Samureye did have some noticeable marks. They were not deep, though, as you can see from the picture. 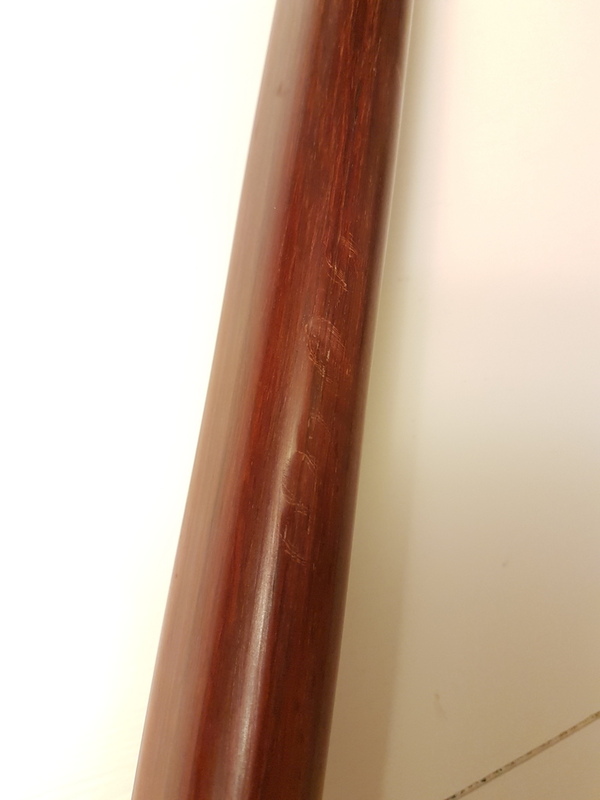 The old Bokken, however… let’s just say it had quite a few more dings in it. 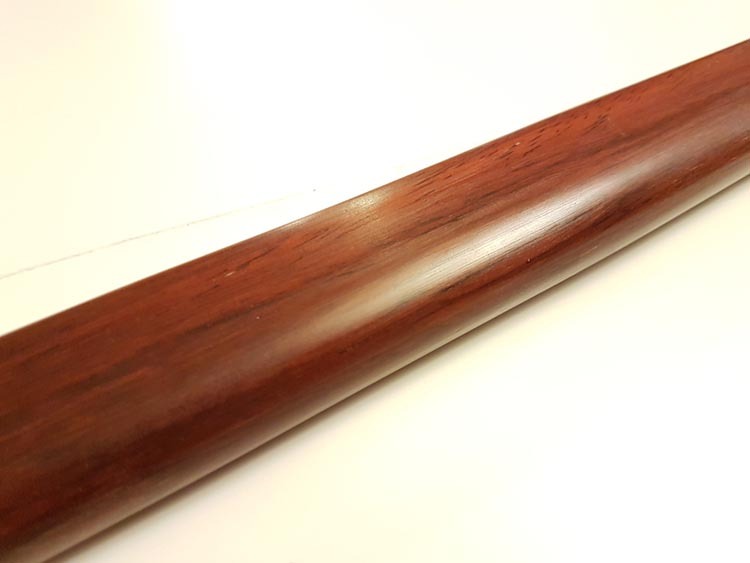 Using a soft wood for a Bokken is a poor choice, especially when pitted against an exotic hardwood like the Samureye. 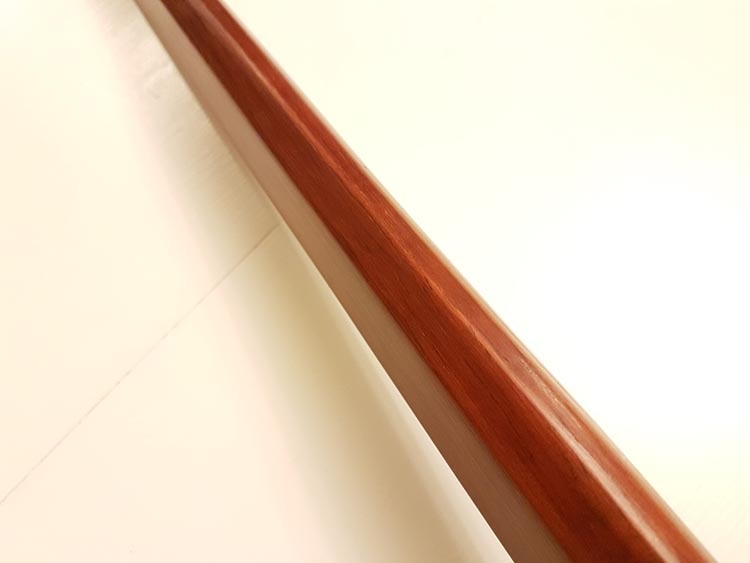 From start to finish, the Samureye Padauk Daito does not fail to deliver. From the wood choice and carving to the final polish, it is a solid piece of craftsmanship that impressed the hell out of me. 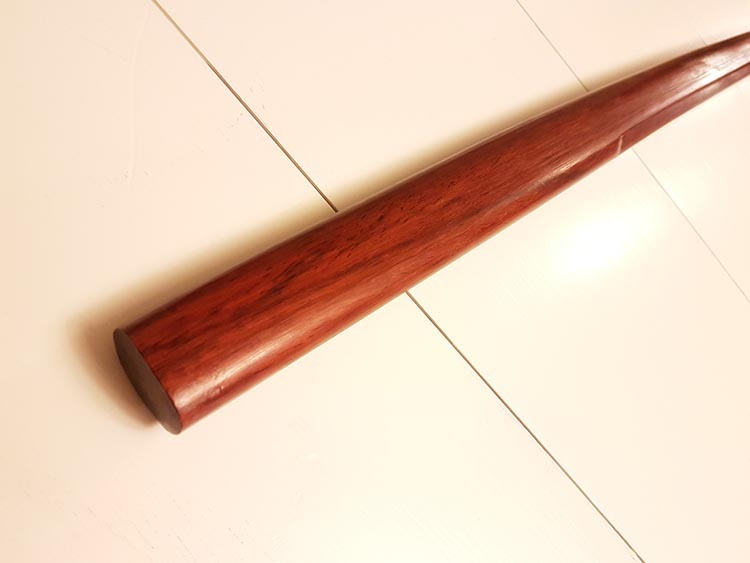 It also brought into stark realization the true potential of a Bokken as a weapon – they are tools, not toys, and you would fool around with these at your peril. 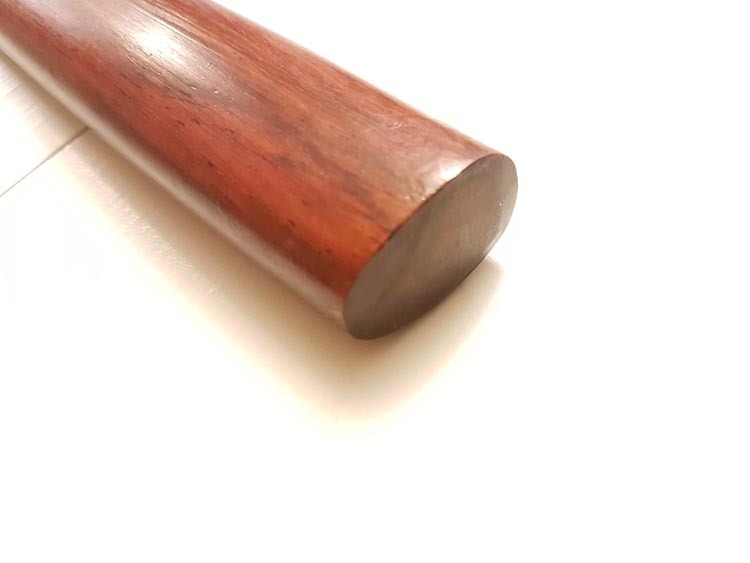 Unlike the cheap $12 Bokken that I’ve handled before, with these Bokken improper training and preparation could easily result in broken bones or worse. 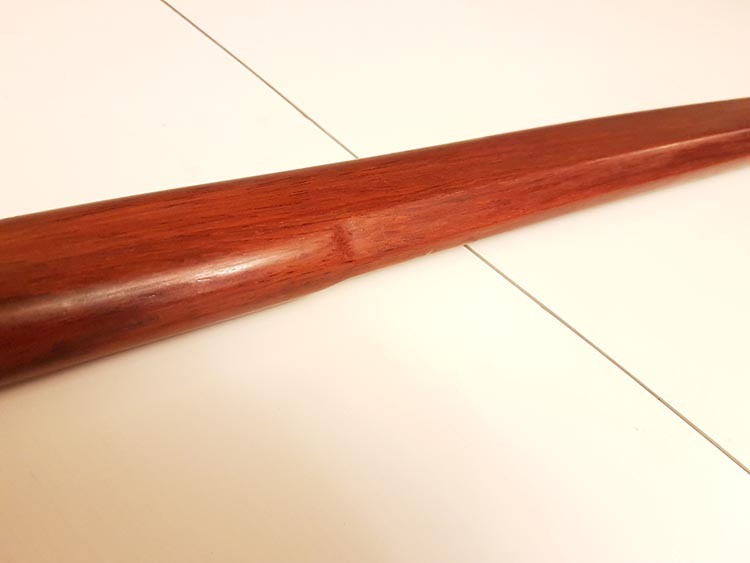 Sparring is serious business – and a true Bokken like this makes that fact abundantly clear. 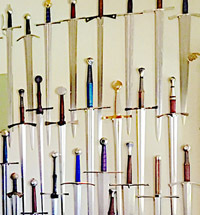 Most sword collectors, without knowing any better, would probably choose to pass these by – and that would be a great shame. 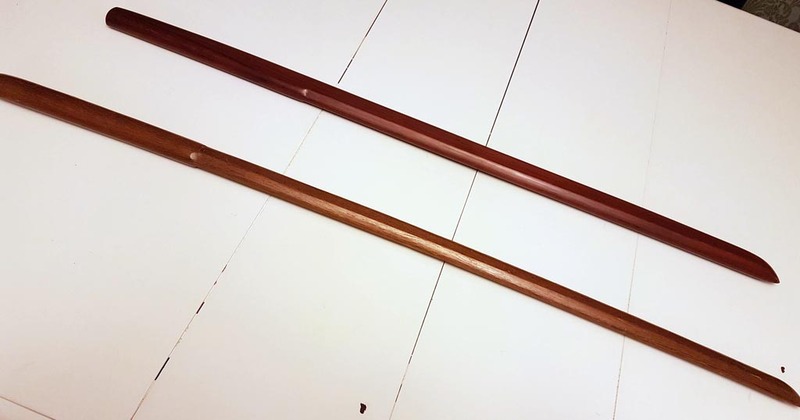 Bokken like these, especially ones hand made by skilled craftsmen, put a bit of history into your hands – in the same way that picking up a sword does. 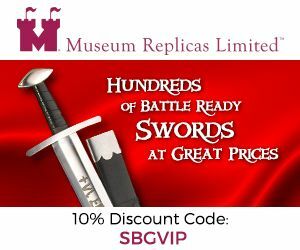 And isn’t that partly why we have sword collections – to carry around bits and pieces of the past? 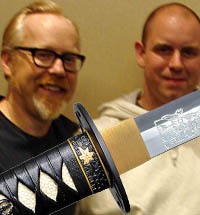 I have been very pleased with my Samureye experience, and would wholeheartedly recommend them to martial artists, fans of Japanese culture, or anyone looking to expand their sword collection to include functional works of art of a different, but related, variety.